Our Inquiry topic this term has been on World War 1. The students chose a question to research that would help their understanding of what life was like for the men and women involved in the war. Some researched how life in New Zealand changed as a result of the war. 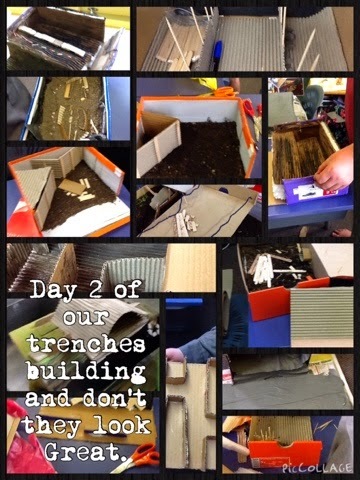 At the end of our Inquiry students planned and built a trench. The trenches look great room 1 nice building. I had a lot of fun making the trenchers and they all turned out to be really great by Olivia. Looking at real trenches was cool and our group tried to base it on one we saw. 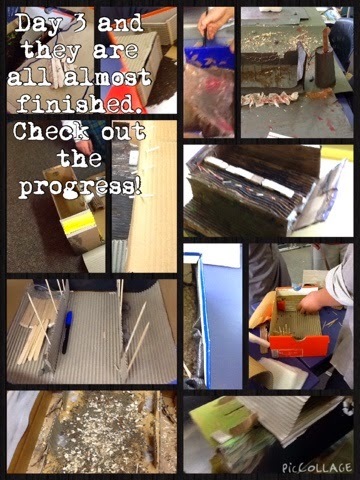 I really enjoyed doing this project and everyone's finished item looked great. Our world war 1 trenchers look so amazing. I really like the big trenchers the most because they have lots of detail. 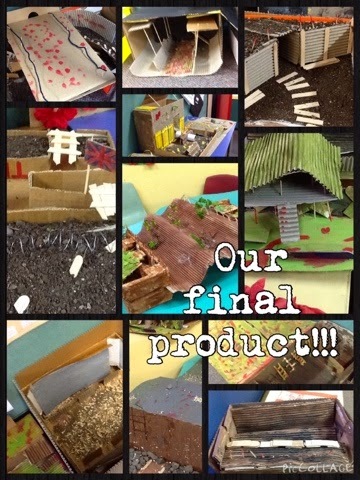 The trench that we made were really good and you can actually learn what life was like for the soilders. Are these on display in your class? Room 5 would love to come and check them out. Great work on your trenches everyone. They look great in the ILE. 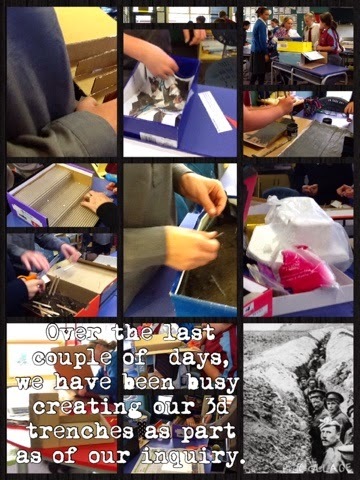 A great activity for really encouraging reflection on life during the war Room 1. Times were tough!